This design features a clamping bolt with an additional accommodation surface which is parallel to the clamping edge. 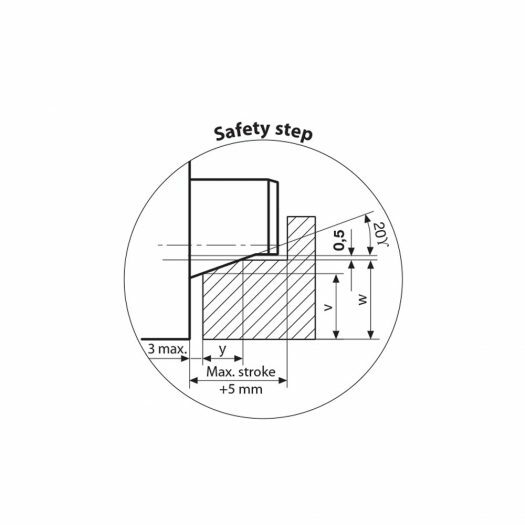 Should the pressure drop (machine failure or standstill), the upper die will lower onto the safety step where it is safely held in position. Resistant to temperatures of up to 160°C (higher temperatures on request). 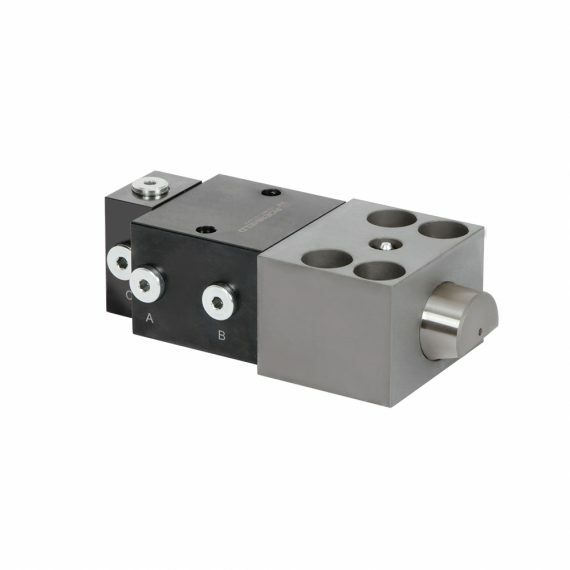 An additional valve block on the standard wedge clamp enables hydraulic control of the clamping position. Only after the last wedge clamp has been clamped is the machine control released by a pressure switch on the pressure generator.